Dr. Joseph offers Injectable Fillers that eliminate your unwanted wrinkles, and create smoother, younger-looking skin or bigger lips with no downtime. The injections are completed painlessly with topical anesthetic, and you may resume normal activities immediately. If you're looking for a permanent result, we often recommend Silikon-1000® (purified polydimethyl siloxane). Silikon-1000® is the best treatment to rejuvenate deflated lips, correct sunken eyes and hollowed temples. If you suffer from acne scarring or facial lipoatrophy (localized tissue loss), we offer permanent correction with no downtime. You may also have Silikon-1000® treatments to improve the appearance of your nose. This simple and painless office procedure can make you look years younger and feel more confident about your appearance. If you're interested in Injectable Fillers, please Contact Us for more information and a cosmetic consultation with Dr. Joseph. Dr. Joseph and his staff are devoted to your complete satisfaction. Injectable Fillers eliminate wrinkles while restoring a completely natural, "unoperated" appearance. If you have deep Naso-Labial Folds or lower-eyelid puffiness, you'll love how you look after a painless, 30 minute procedure. Dr. Joseph has 15 years of experience with Silikon-1000®, a permanent injectable filler. Many patients enjoy younger-looking skin with painless BOTOX® or Xeomin® treatments administered by Dr. Eric Joseph. You can have BOTOX® or Xeomin® to eliminate wrinkles like frown lines, forehead lines, crow’s-feet and bunny lines around the nose. A 20-minute treatment will greatly reduces the appearances of these wrinkles and you'll also prevent the formation of new wrinkles. You may resume normal activities immediately after treatment, and you can combine BOTOX® or Xeomin® with other treatments, including permanent injectable fillers, microdermabrasion and facials. Dr. Joseph uses BOTOX® and Xeomin® to eliminate troublesome underarm and palm sweating also called hyperhydrosis. 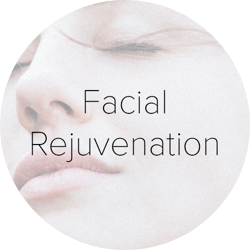 If you want to look years younger, at a price you can afford, with absolutely no downtime,inquire about a Liquid Face Lift. You'll get BOTOX® Results are completely natural-looking, and you'll see dramatically youthful results immediately. Dr. Joseph treats hundreds of patients from New Jersey and New York every year and is very experienced in the application of BOTOX® and Xeomin®. There may be discounts or other benefits offered by the makers of BOTOX® or Xeomin® so please Contact Us today to set up a consultation so we could see what might be best for you. Same day treatments are available occasionally.